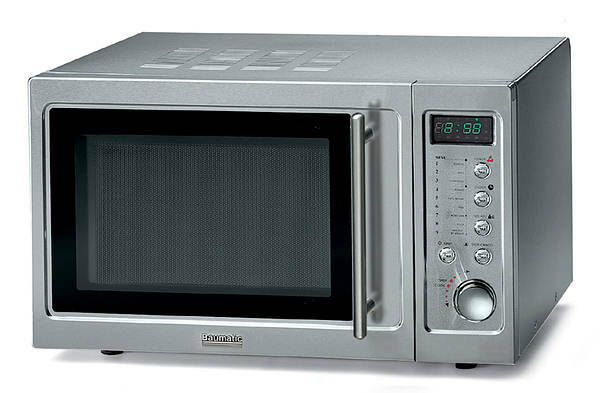 1-877-Appliance can fix most brands and models of microwaves including Maytag, KitchenAid,, Kenmore, GE, Whirlpool, and more. We repair most oven problems including oven uneven heating, broken heating elements, timers, thermostats, or oven setting control. Call 1-877-Appliance for fast, reliable and professional appliance repair. When conducting periodic inspections of your microwave unit, be sure to also thoroughly inspect the cord and the plug. Make sure there is no physical damage to the cord itself, and that the plug fits the outlet securely and tightly. Keep in mind that the cord and plug can be damaged by the heat produced by your microwave and by the heat produced by other appliances in close proximity. Should you discover any signs of overheating at the plug outlet, then the outlet and/or the plug itself should be replaced. Contact an appliance repair technician. Also, check for built up dust and dirt in and around the ventilation holes and grills. If necessary, use a vacuum cleaner to collect dust and dirt. Periodically cleaning out the ventilation holes will greatly reduce the risk of overheating.